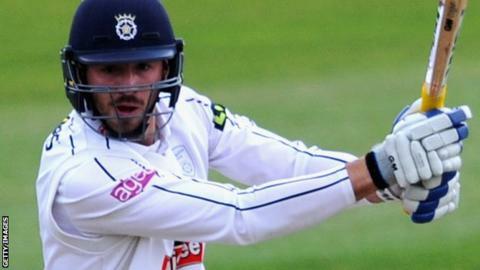 Hampshire batsman James Vince has been confirmed as the county's new captain and signed a new long-term contract. The right-hander, 24, was first appointed skipper in July until the end of the season after Jimmy Adams stood down to focus on his batting. Adams, 35, formally handed over the role on Wednesday. "I'm delighted to have this opportunity. I really enjoyed the taste of it I had this year and I feel I've got much more to offer," he said. Vince's current contract was set to expire at the end of next year, but he will now remain at the Ageas Bowl until at least the end of the 2019 season. "James has developed into a genuinely gifted and creative captain and has demonstrated a maturity well beyond his years," said club chairman Rod Bransgrove. Vince made his England one-day debut against Ireland in May and has been named captain of the Lions T20 squad to face Pakistan A in Dubai in December.